Do you guys ever watch the show “The Kitchen” on the Food Network? It’s one of my favorites! 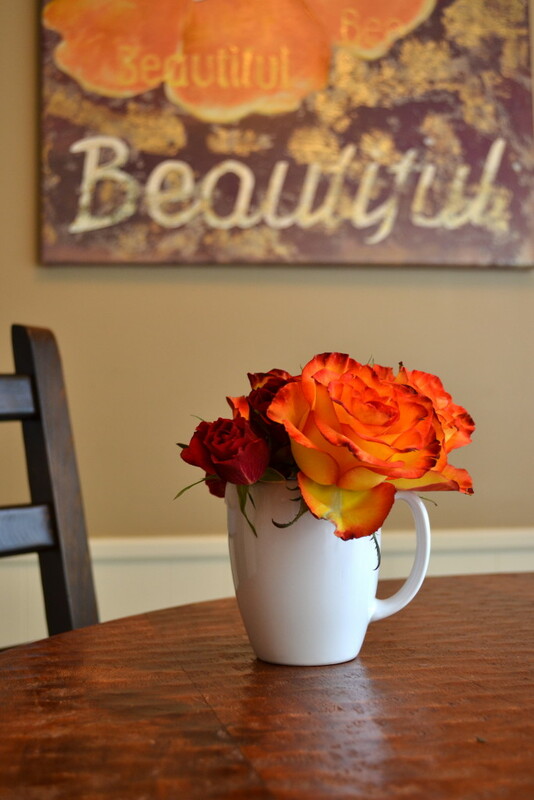 On a recent episode, they were giving tips on keeping cut flowers fresh, and styling mixed arrangements to make expensive looking centerpieces or pretty accent bouquets for your home. I was scrambling to write down the tips they gave because I knew I had to share them with you all. These tips are definitely good and simple. TIP #1: Separate out flowers by color and/or type of flower to create mini bouquets. 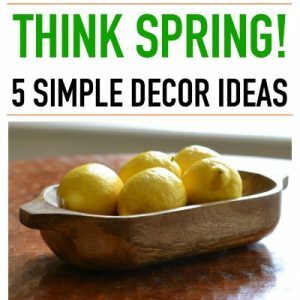 The frugal side of me loves the idea of using one bouquet to create multiple decorative pieces for different rooms, and the creative side of me likes just playing around with colors and flowers to make something pretty and unique. I decided to pair the roses together, and to use the hydrangeas with whatever that floppy purple flower is (can you tell I’m not a florist?) because I love the combination of purple and green. 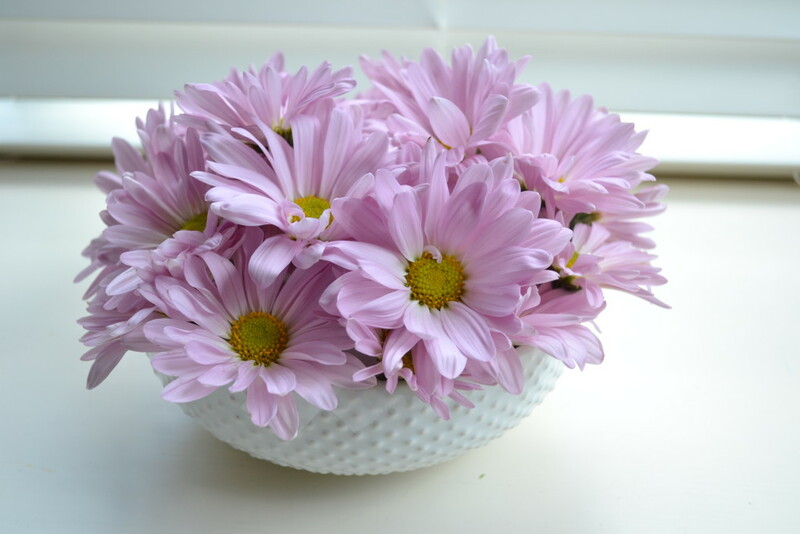 TIP #2: Create a beautiful floral centerpiece using a bowl and some tape. 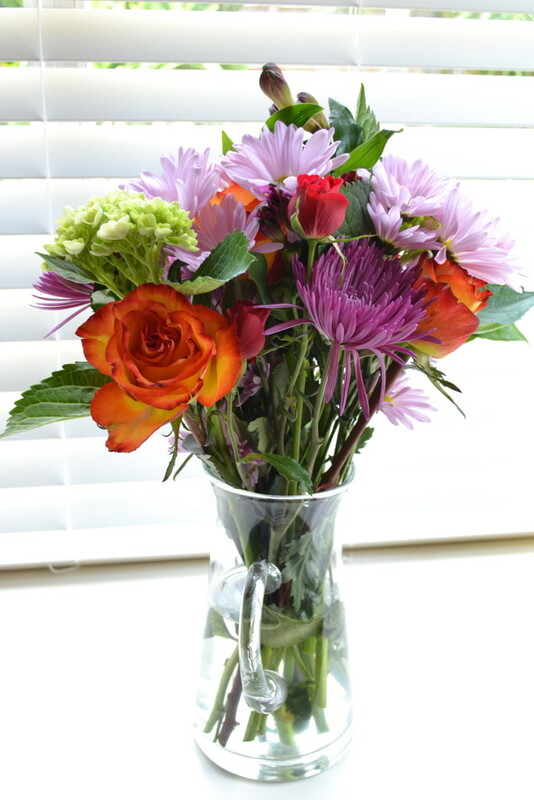 1) Fill a bowl, cup or shallow vase with water. 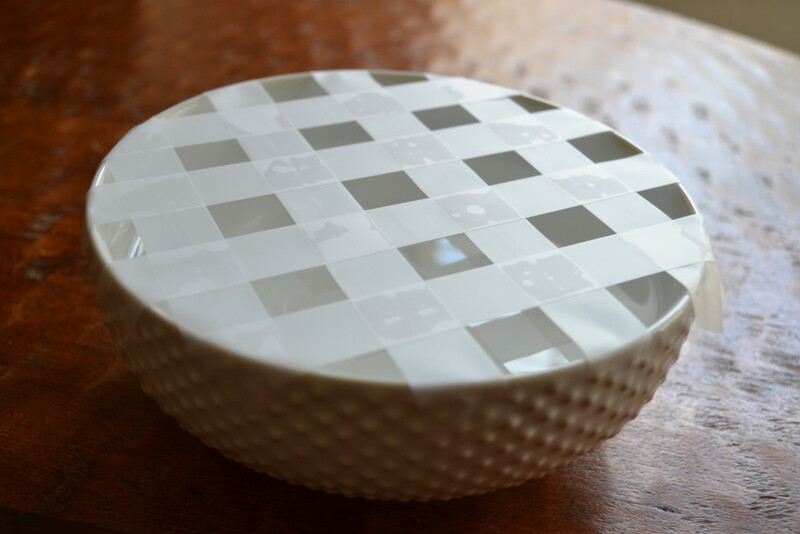 2) Use scotch tape to make a grid across the top of the bowl. 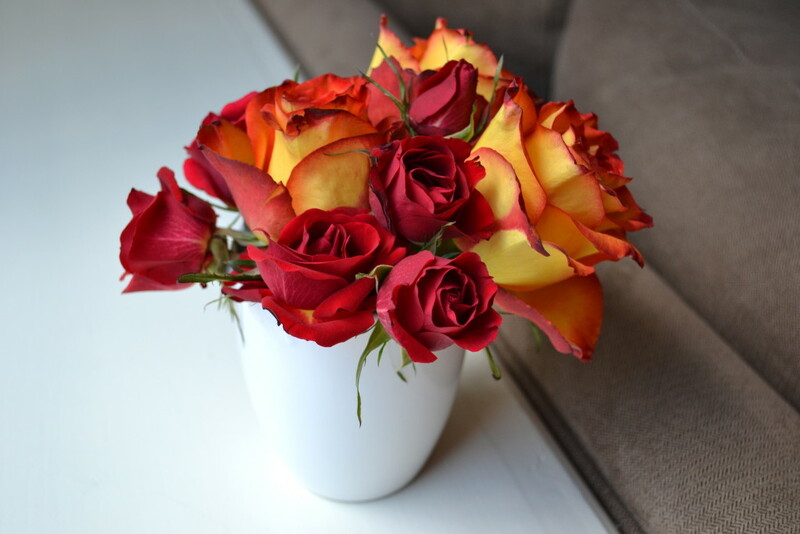 3) Trim the stems of the flowers, leaving just a few inches (how much you trim will depend on the depth of the bowl or vase). 4) Place the flowers through the openings in the tape and arrange them however you’d like. You can cut the flowers in slightly different lengths and layer them to create a mounded effect. 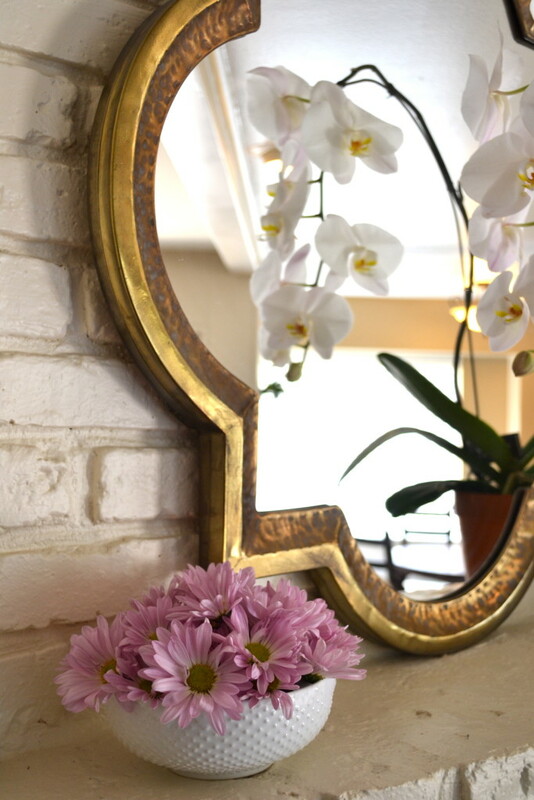 This type of arrangement works great as a table centerpiece or as a pretty accent piece for an entry table or shelf. I also used the tape technique with a plain white mug to create this small bouquet. Wouldn’t this make a really cute hostess gift, teacher gift, or thank-you gift? Voila! I effectively turned one standard bouquet into three separate, unique arrangements. On “The Kitchen,” they said to use a hammer to slightly smash the cut tip of the flower stem before adding it to the water. Apparently that helps the water get up to the flower more easily, thus keeping it fresh longer. Who knew? Since seeing the show, I no longer see floral arrangements as “as is” bouquets, but as something I can play around with to customize to my personal style while also getting the most bang for my buck. 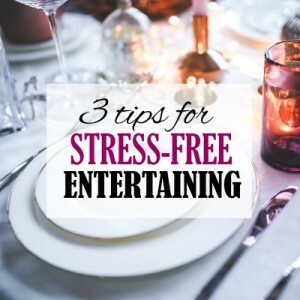 You could use these techniques if you’re decorating your house, or if you’re decorating a room for a special event like a baby shower, luncheon or holiday party. You could also create adorable little gifts by using masons jar or other small containers to create several “petite bouquets,” which usually sell for $10-$15 a piece in a store — the same price as one large mixed bouquet. 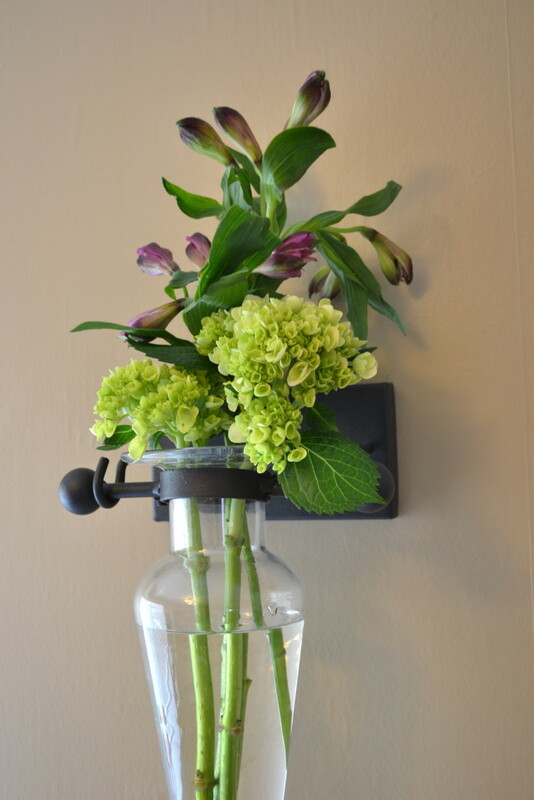 ways to arrange flowers. Love the orchid in the background in the one photo. I’m so glad I found this article! I love the tips and the photographs. My favorite take-away items are the smashing the stem with a hammer tip, and the tape technique. 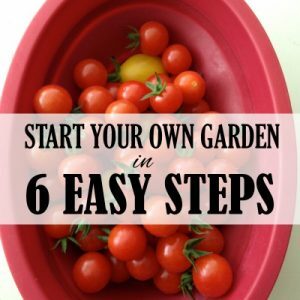 This post has been very helpful and inspiring. 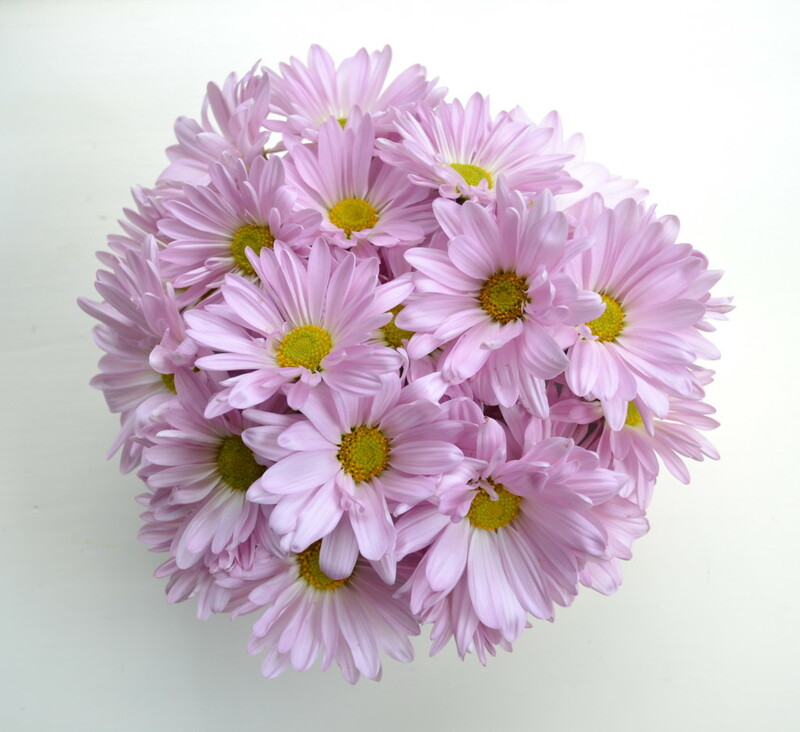 Thanks for taking the time to share this great flower-arranging resource. Thanks so much, Denay! 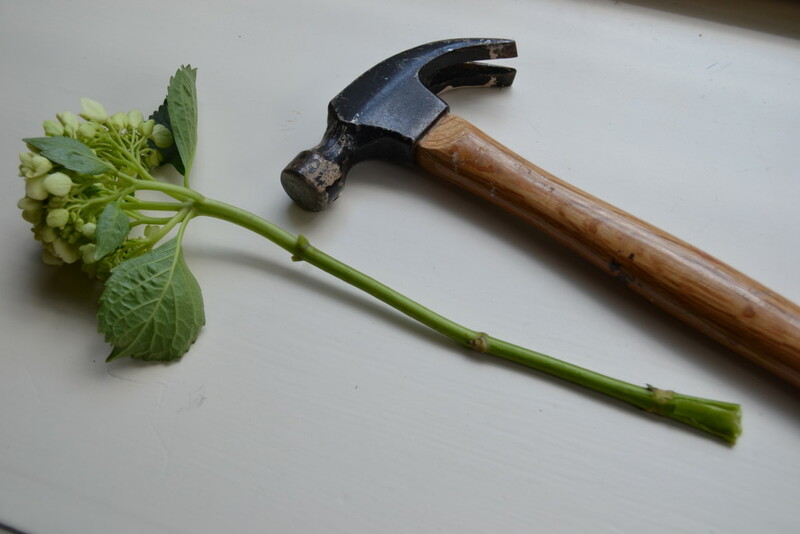 I love the hammer tip too – and it totally works! My hydrangeas have been staying fresh way longer than normal.